Best Online Casinos for High Rollers - Becoming a "Whale"
It’s difficult to put a monetary value on the phrase “high roller.” Besides referring to a person who spends a lot of money in casinos, the phrase doesn’t have much of a concrete definition. It’s not possible, for example, to compare the bankroll of a bettor in a Vegas VIP suite to the bankroll of a big-time online blackjack player. The two venues are so different, it’s impossible to use context. The main reason “high roller” has such a loose definition at Web-based casinos is semantics. Online gambling venues are limited in terms of how much cash they can accept, pay out, and reward, more so than land-based casinos by physical and financial necessity. That’s why a bettor with $10,000 in his online casino account can be considered a high roller, while a Vegas casino guest may have to wager 10x that to get much VIP attention. So how much do you need to spend to be considered a high roller? Unfortunately I can’t give you a solid answer. Some online casinos are set up to attract high rollers, but they necessarily have higher standards. What passes for a high roller deposit at one site may be not much to sniff at for another. As with anything subjective, the judgment here is relative to the specifics of your deposit. 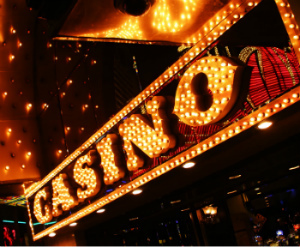 What makes a casino ideal for a high roller customer? I looked at a few dozen Web-based gaming venues to gain an understanding of who and what I’d be recommending. What factors were important to me? Since we’re talking about large chunks of money changing hands, I figured security and safety should be at the forefront of the discussion. Other factors – access to high-limit bets, the site’s history of paying out winnings, the timetable of payouts, and the availability of high roller-specific bonuses – were important as well. To quantify things a little better, I came up with two different categories to use to compare high roller casino sites. The casinos I looked at are obviously not the only good sites for big spenders. I chose the sites used in the comparison because they’re all major players in the industry. Why just these two categories? The “best financial options” category is self-explanatory. Why am I including welcome bonus details here? Put simply, modern casino wagering requirements and other bonus restrictions are so high that only the biggest of big spenders can usually turn them into much beyond a few dollars of free bets. I included bonuses as a fourth metric to help draw some distinctions between today’s somewhat homogenous online casinos. Desert Nights Casino earns mention in this category for two reasons. First, they explicitly state that they accept all world currencies on the site’s cashier page. This could be important for a high roller who doesn’t deal in US dollars or Euros, the two most-common currencies at online casinos. I also like that they pay large jackpots “in one lump sum,” provided the jackpot is progressive (any size) or worth $10,000 or more. Smaller jackpots and withdrawals are paid out at a generous $2,000/week rate. 32Red is famous for allowing “unlimited” deposits and withdrawals, though that’s a little misleading. It’s true that the site doesn’t technically limit the size of player transactions, but reading the fine print it’s clear that the site has some tactics in place to maintain some control over deposits and payouts. For example, large deposits via Neteller have to be broken up into chunks of $7,500, while credit and debit card deposits may have to be broken up “depending on the card.” Still, offering any form of unlimited deposit/withdrawal system makes the financial department at 32Red ideal for high rollers. Taking up the lead, again, is Desert Nights. Their welcome bonus offer at the time of this writing is worth a 100% match up to a massive $10,000. Since the wagering requirement is 25x deposit plus bonus, earning the free $10k requires a total outlay of $500,000. This is an attractive bonus, but it’s certainly in high roller territory. Sun Palace Casino deserves a share of that lead. Their welcome bonus is also worth up to $10,000, but at a match rate of 400%. The reason I list Sun Palace one rung lower than Desert Nights is Sun Palace’s higher wagering requirement – fifty times deposit plus bonus on my last visit. Still, that’s a massive bonus at a nearly-indecent match rate. Take note that Sun Palace is operated by the same group that runs Slots Plus Casino. That means Slots Plus deserves a mention here, too. I found three other sites with decently-large welcome bonus offers that high rollers can take advantage of. The most impressive was Slotocash, which offers a series of five bonuses that match at rates between 100-200% up to a total of $7,777. Lucky Red is offering a 400% match worth up to $4,000 (easy enough for true high rollers to earn in a month’s time), while Bovada’s 100% welcome bonus is worth up to $3,000. Based on the information above, it’s clear that Desert Nights Casino is the best online casino for high rollers. They earned top honors in both of our categories. Desert Nights may not have the name recognition of some of the other properties on this list, but they are doing everything they can to attract high roller attention. Ultimately, the best high roller casino is the one that makes your bankroll comfortable. To find an ideal gaming venue for a large deposit, take a look at security, reputation, and the features the site offers customers like you, with plenty of money to spend. Your large deposit deserves special attention, so be sure to contact cashier staff before making a high roller deposit to see what special offers you can take part in.